RoCkaNdFRoCk: WiLL YoU Be ThE OnE???? 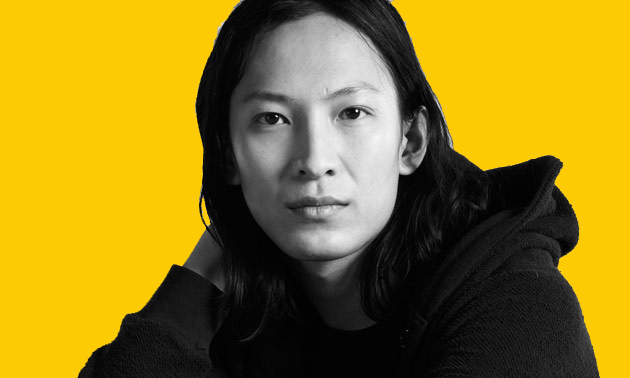 Alexander Wang is insistently rumored to be the ONE at Balenciaga...also Christopher Kane & Mary Katrantzou were reported to be possible successors of Nicolas Ghesquière, but Fashion Bookmakers bet that Wang will be the right one...have a great day!!!!!!!! Quando si saprà chi avrà preso il posto di Nicolas? Non sarebbe niente male come sostituita! mi fido del tuo giudizio e...della foto!! Thanks for this post! You have an amazing blog, love it! Adoro Alexander Wang! Ce lo vedrei per Balenciaga!! Credo che Wang sia l'unico possibile sostituto, ha una creatività pazzesca! si cm sostituto nn mi dispiacerebbe...sarebbe interessante vedere le sue creazioni! Alexander wang is amazing. Wow! You have the cutest black-and-yellow blog. Of course I will follow you. hmmmm... we will see but is an interesting rumor! Hummm love him! he is the boss!!! It will be interesting to see if the rumour is true! Thank you for visiting my blog - I'm sure you will love Dubai when you go there. You suggested following each other - good idea! I've been reading your previous posts and decided to be your newest follower on GFC and Bloglovin'. mmm Wang non sò... mi piace, ma sono ancora troppo legata al binomio Ghesquière=Balenciaga ! ne ho parlato anch io tra l'altro ! le notizie corrono! I will love to see who it will be, my Patriotic love will love to see Mary Katrantzou there though lol. Have a wonderful week Vale. OMG-------------OMGGGG--!!! SOOOO exciting! Can't wait to hear who will take over! Balenciaga is our all time fav'!!! WE will miss N.Ghesquire!!! sono curiosa di vedere cosa accadrà. Thank you for visiting my blog! Means the world to me, following you now on Bloglovin and GFC! Return the love and Let’s stay connected! Have an amazing week!